When I share a recipe with you, I do so after making sure it’s almost perfect and will for sure bring joy to you and yours. I like to spend my effort on perfecting my recipes as much as I can and today I’m excited to share another perfect delight. 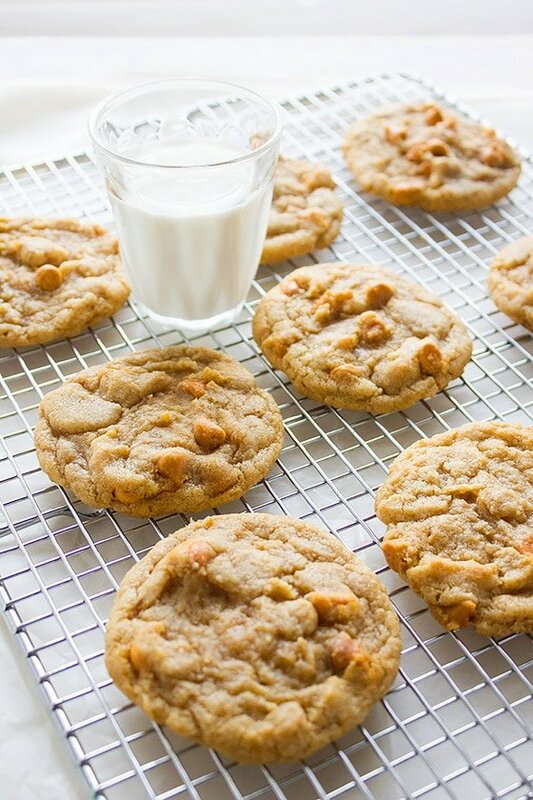 Perfect Butterscotch Chips Cookies. Get the largest glass in your house and fill it with milk, since one or even two cookies won’t be enough. The dough smells and tastes so good you can have it without the butterscotch chips. 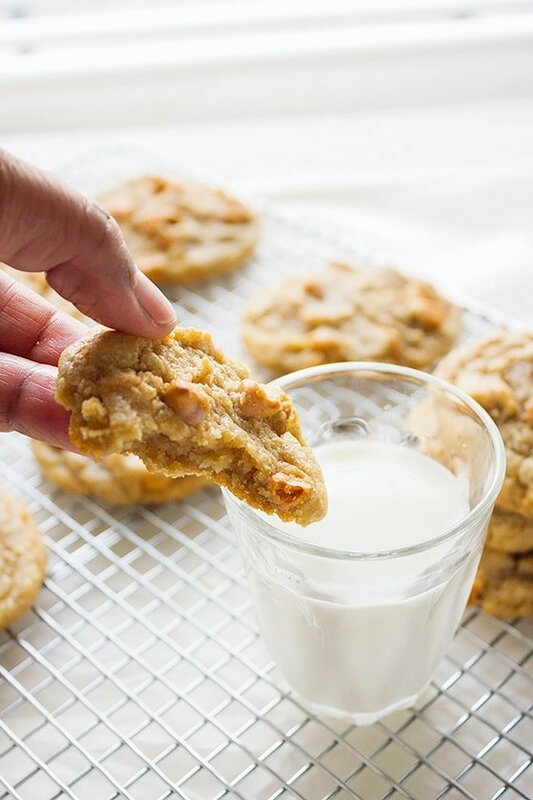 These perfect butterscotch chips cookies have crunchy edges and are chewy in the center. The edges stay crunchy even after the cookies are stored in an air tight container. 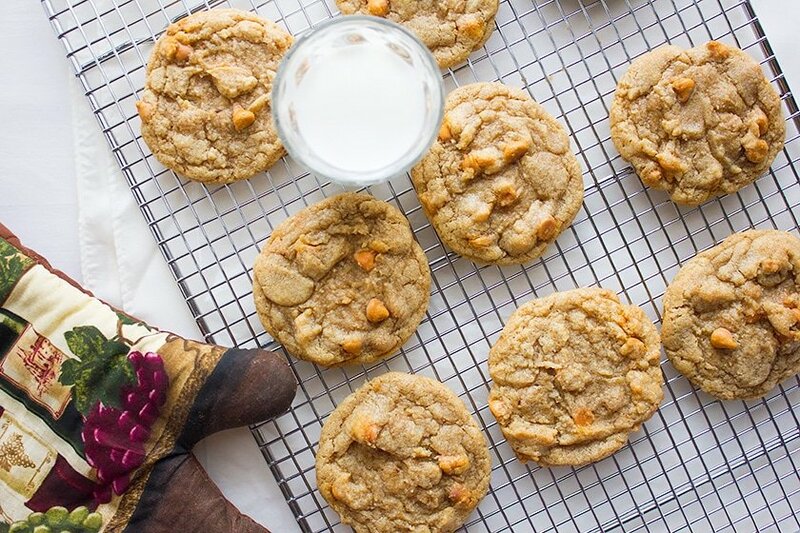 Imagine that from one bite you can taste caramel, browned butter, combined with the butterscotch chips. 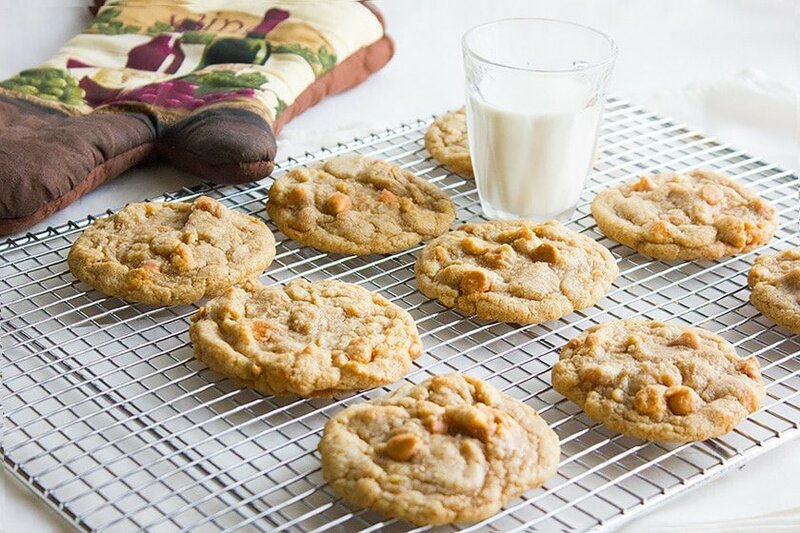 Heavenly is the only word I can think of when describing these perfect butterscotch chips cookies. 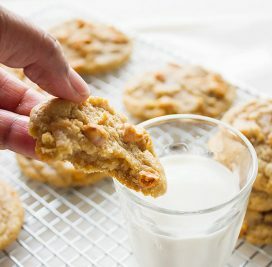 Making Perfect Butterscotch Chips Cookies. 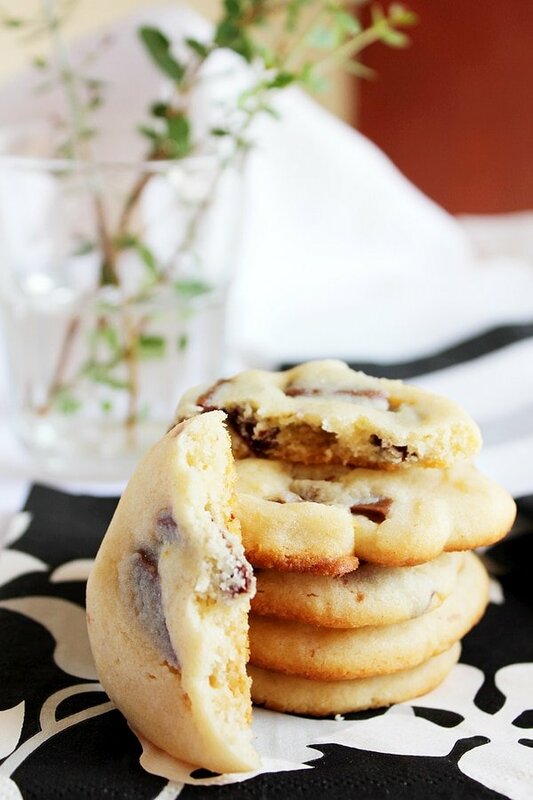 To make the perfect cookie dough, you have to brown the butter first, wait until it’s at room temperature, and then mix all the ingredients together, cover and refrigerate for 15 to 20 minutes. 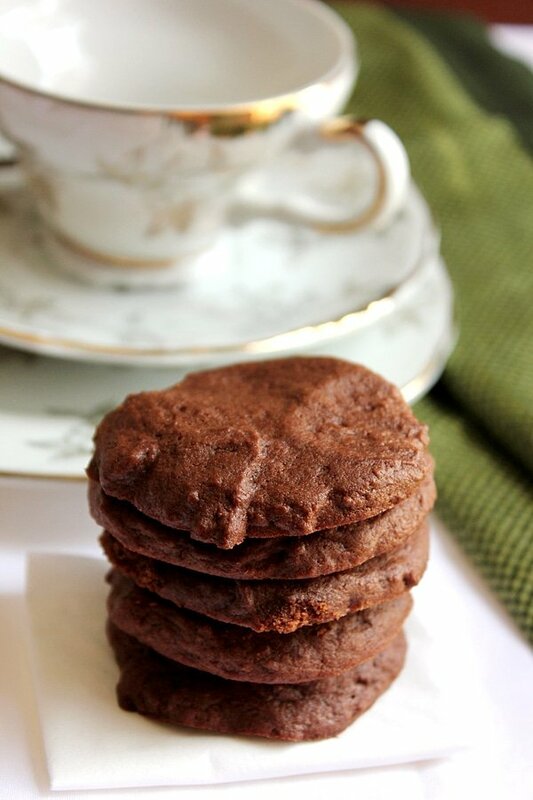 There is a trick to make the cookies picture perfect, and I learned the trick through this post. 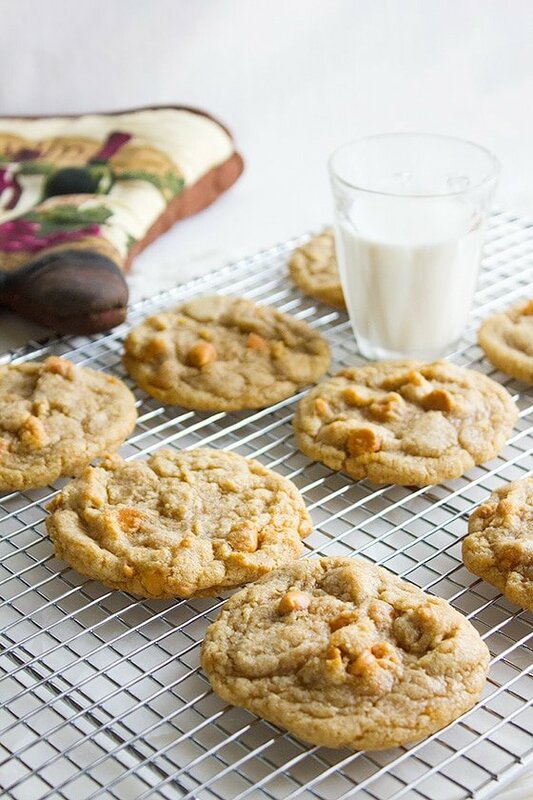 Since you are making perfect butterscotch cookies might as well make them look perfect! Brown the butter by placing it in a small pan, let it melt on medium heat. When it turns brown remove from heat and keep aside to cool. In a bowl, add all the ingredients (except the egg, vanilla, and the butterscotch chips.) mix well. Make a well in the middle of the dry ingredient mix and pour the cool butter, the egg, and vanilla, whisk well. Gently mix the dry ingredients. Now add the butterscotch chips and mix gently. Do not over mix. The chips may not stick to the dough but that’s fine. Cover the dough and refrigerate for 15 to 20 minutes. Preheat oven to 375F/190C. Line the baking sheet with parchment paper. Take ¼ cup from the dough and form a ball. Now tear the ball from the middle creating two balls with jagged edges from one side. Gently smush both balls together jagged side up. Place on baking sheet and bake for 10 to 11 minutes. Cool on a cooling rack, when the cookies are completely cool store in airtight container. 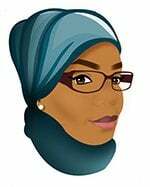 Follow my Pinterest board and Instagram for more recipes. I’ve made the batter twice now and both times it’s turned out very sandy. The dough is so brittle that I cannot form round balls to place on the baking sheet without them falling apart. What am I doing wrong? ☹️How can I save this second batch of dough? Should I add more butter? Hi Alisa, I’m sorry this is not working for you, but I can’t see why the dough is falling apart! I make these cookies often and never had this situation. I can think of few possibilities, you are not using all-purpose flour, maybe you are using whole wheat flour for this, or you are using a small or medium size egg, or the butterscotch chips are large. Make sure that you are using measuring cups and spoons for this or any baking recipe. Hope this helped.